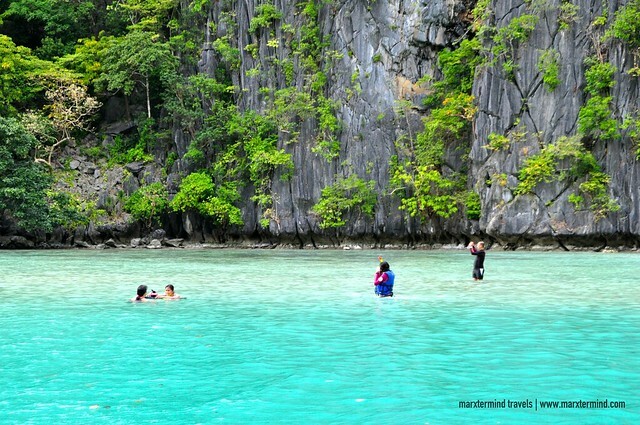 El Nido is a magical place. 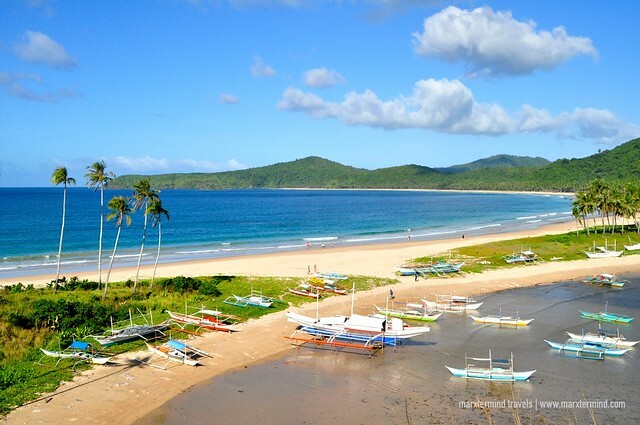 It is one of my favorite destinations in the country because of its undeniable beauty. 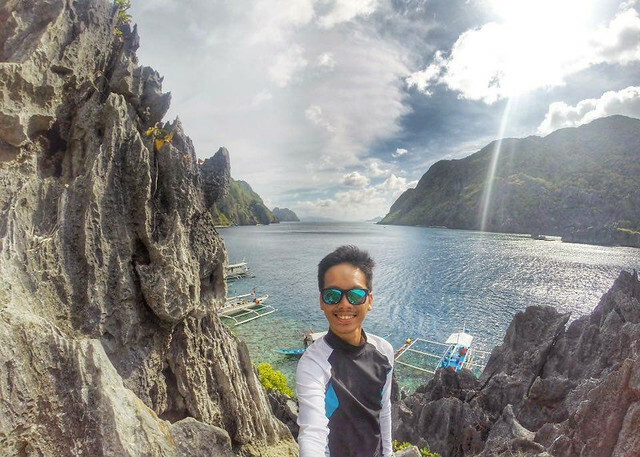 Spectacular, wonderful and breathtaking, these and all other beautiful terms to depict a place is how I would describe El Nido. 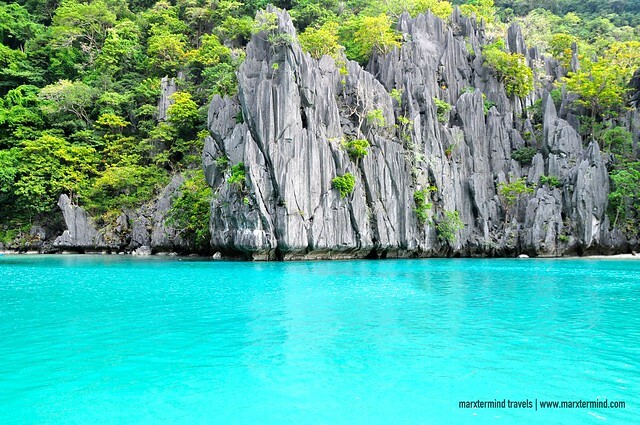 And if you’re looking for an ultimate Palawan experience, then this place is totally a perfect destination for you. The first time that I’ve been to El Nido, I instantly fell in love with it. I’ve got charmed by its laid back feel and its naturals wonders. Well, who wouldn’t be enchanted by this place? It’s a paradise! 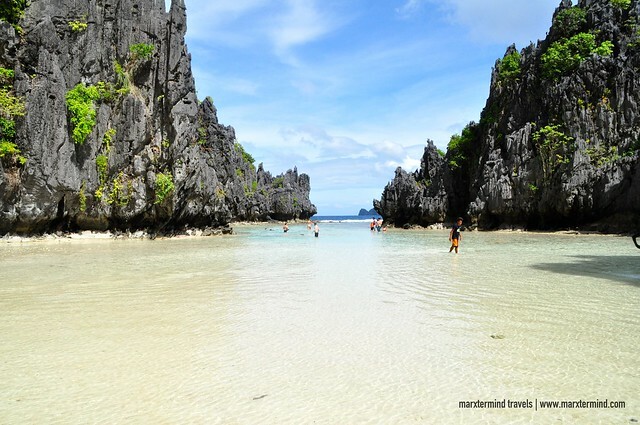 El Nido is known for its beaches, islands, lagoons and limestone cliffs. And the best way to explore these places is by joining island-hopping tours. Island tours are divided into 5, such as Tour A, B, C, D and inland tours. 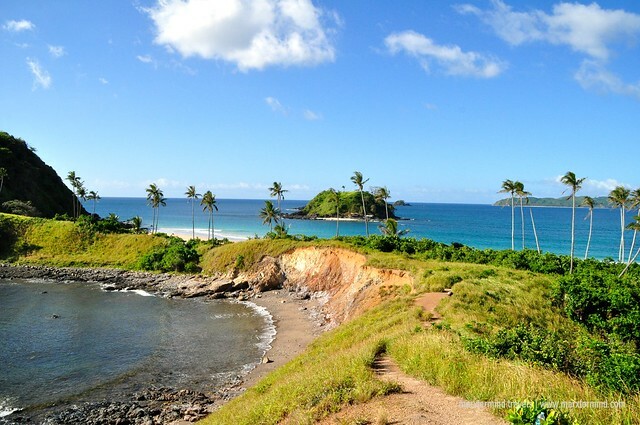 Each offers tour to several islands, beaches, lagoons and snorkeling spots. Because we only had limited time to spend (what, again? ), we decided to combine the tours. Good thing that Northern Hope Tours was able to manage and squeeze in our proposed activities for three days. We combined Tour A and B and Tour C and D. And on our last day, supposedly Taraw Cliff and Twin Beach but it was only the latter that we were able to do. Well, it was actually because my friend and I got sick on our second day. In fact, we didn’t able to join the rest of the group on Tour A and B. It was heartbreaking but I suppose those could be reasons again for me to go back. 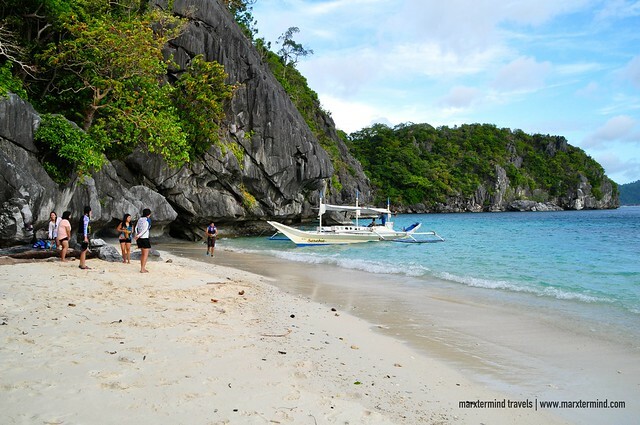 Island hopping tours in El Nido normally starts at 9:00 AM. Our guide, Alfer, fetched us from our hotel at around that time. We went to the pier for our boat. When everyone had already boarded and comfortably settled in their seats, our guide then did his usual tour introduction, briefing and safety guidelines. After which, we left the bay and then begun our island hopping tour. Our island hopping tour was combination of Tour C and D. Places to visit for Tour C are Hidden Beach, Helicopter Island, Secret Beach, Matinloc Shrine and Star Beach while for Tour D are Bukal Island, Ipil Beach, Nat-Nat Beach, Cadlao Lagoon and Paradise Beach. But because we combined the tours, we didn’t visit everything. We only went to those that we liked and we felt noteworthy. Our first destination was the Hidden Beach. Getting to this place was actually a bit challenging but definitely worth it. It was low tide and the boat couldn’t be able to get nearer to the coastline so we had no choice but to jump in the raging water. But our guides helped each of us to be able to get through safely. The Hidden Beach lies behind the magnificent cliff walls. It is a small lovely beach with beautiful scenery. We didn’t stay longer and only spent some few minutes for photo ops. We left the area by traversing through the small cave located on the side of the beach that leads to the open sea. Talisay Beach was our second stop. The beach seems like a regular stopover for lunch because it was also the same area that we went to for lunch when I joined Tour C before. 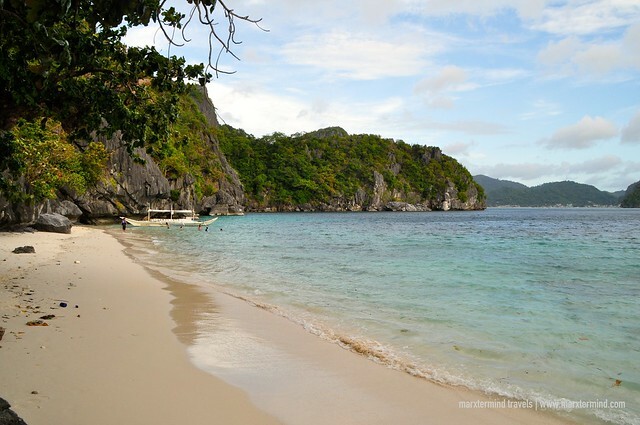 But this beach is more than just a stopover. It was a nice beach site perfect for swimming and snorkeling. It has a white sand and clear water. But too bad we didn’t able to try the water. Northern Hope Tours prepared a hefty and satisfying lunch for us. We had steamed crabs, grilled fish, squid, chicken and pork. We also had grilled eggplant. Also part of the menu was cucumber salad and fruits. It was really good and scrumptious. We were all full that next thing we would want to do was to take a nap under a palm tree. Not too long after having our lunch, we decided to proceed to our next destination, Matinloc Shrine. 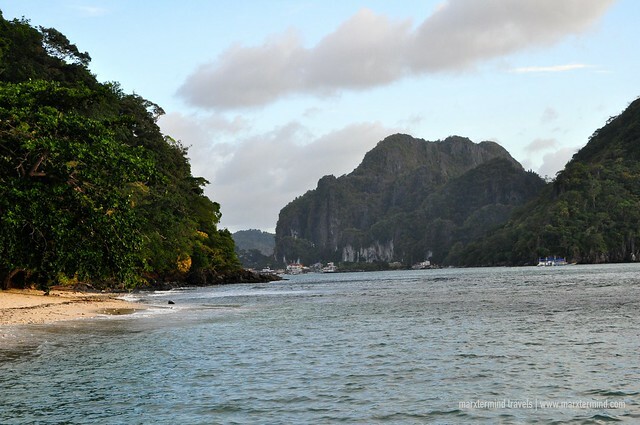 The site is one of the most famous spots in the island hopping tour because of its picturesque view of the bay. One can see the view by climbing a limestone cliff that serves as the viewpoint. Getting up to see the overlooking might take a while because of the flock of tourists. There was a queue when we went there. We waited for our turn but tourists behind us were undisciplined that they didn’t wait for their chance and just went to the viewpoint while we were still there. Reason? They were in a hurry. We were also in a hurry but we waited for our turn. Oh, disruptive tourists! It was really kind of upsetting that we didn’t able to enjoy our time in the viewpoint that much. I wasn’t even able to take a photo of the view alone. We went down from the viewpoint and just spent our remaining time at the gazebo – and the dock area. There’s also an abandoned mansion located in the located. It is open for visitors but we didn’t dare to enter anymore. It looked creepy. We started the second part of the tour by visiting Cadlao Lagoon. I haven’t tried Tour D before so I was really excited on the places that we will be visiting. And I was surprised. 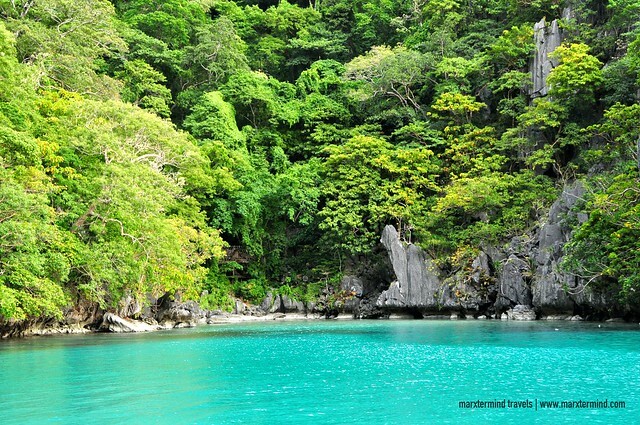 I was in awe when we reached Cadlao Lagoon. It has turquoise water that really captured me. It was just too bad that we didn’t able to dock at the beach for us to fully enjoy the area. 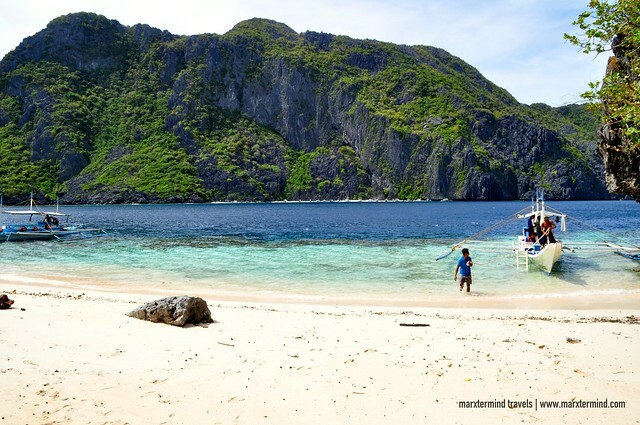 Cadlao Lagoon is said to be one of the best lagoons in the group of islands around El Nido. No doubt about it! Seeing the tropical trees and rock formation around the lagoon was really astounding. The place was really beautiful and feels serene. If I only knew that this place would be that so much perfect, we then had just spent more of our time here. It was this time when we went to Paradise Beach that the group finally able to experiencing swimming. We were given half an hour for us to enjoy what the island has to offer. 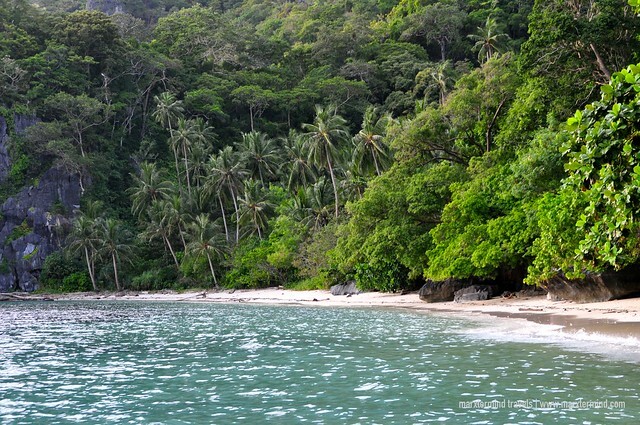 The beach is a perfect example of tropical island because of its fine creamy white sand beach lined by coconut trees. There’s also snorkeling spot in the area but everyone seemed not interested and just wanted to take a swim or maybe go for a walk, which I actually did. Some of my companions took their time swimming in the beach while I went for a stroll and had some photo ops. A long stretch of white sand beach, Nat Nat Beach was our last stop for the tour. It was already late when we arrived so the group decided not to go down anymore and just took photos of the beach from the boat. It was a long day for us exploring the different islands. Tiring but of course it was a wonderful experience. Since my friend and I got sick on our second day, we weren’t able to participate the next day and were only able to join them back on the third day when we went to the Twin Beach. Twin Beach is part of inland tour. 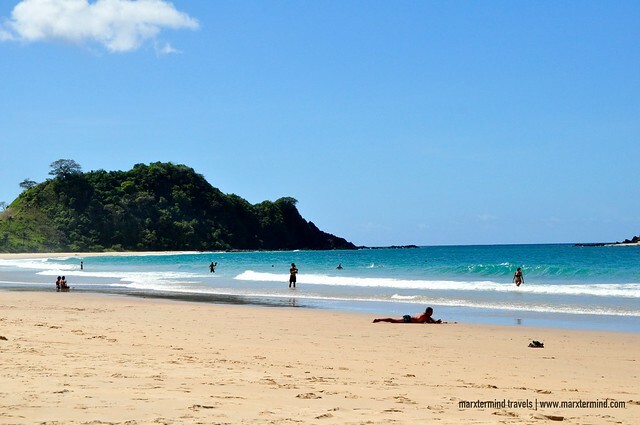 The beach was named as such because of two beaches that meet together in some point, the beaches of Nacpan and Calitang. 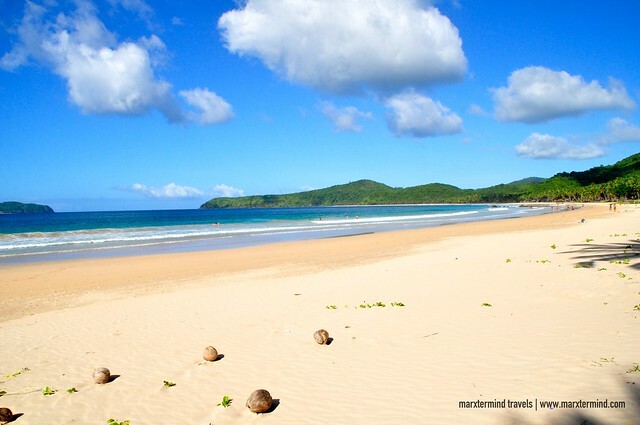 Nacpan Beach is more of a fishing village while Calitang Beach has a long stretch of white powdery sand. But why this area had become popular online was because of the magnificent view of the two beaches as seen from the hill. It was just an easy climb so don’t miss going to that viewpoint. The view was captivating, added to that the turquoise clear water at Calitang Beach that had been inviting us since we arrived. Since we still needed to catch a van ride back to Puerto Princesa and it was still 45 minutes drive to get back to the town, the group decided to leave early. It was saddening to leave Twin Beach that early afternoon and not being able to see the sunset from the beach. I’ve learned that watching the sunset from there was captivating but I guess it could be another reason again for me to go back. 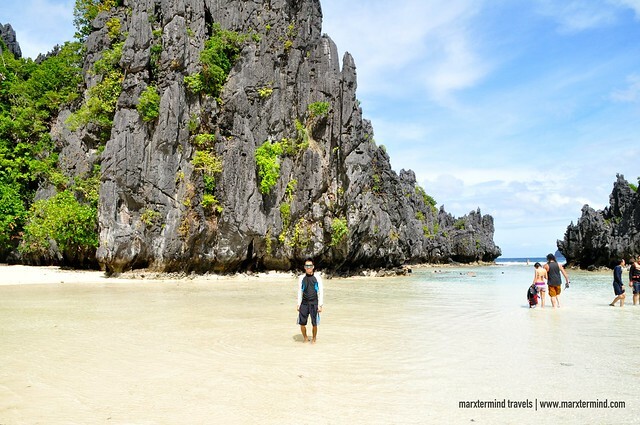 I was really grateful to be able to visit El Nido again. I was glad to be back to my favorite destination, together with my friends this time. I was pleased to rediscover its magnificent wonders that added up to my reasons to love this place even more. I truly enjoyed our island hopping tour conducted by Northern Hope Tours and for taking care of us and giving us such amazing time exploring the beautiful islands, beaches and lagoons. 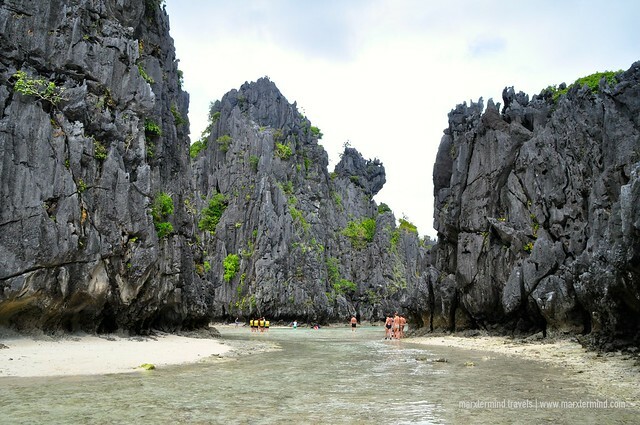 El Nido, Palawan is truly a fascinating place that indeed charmed me once again. Northern Hope Tours offers island hopping tours daily with the following rates per person: PHP 1,200 for Tour A, PHP 1,300 for Tour B, PHP 1,400 for Tour C, and PHP 1,200 for Tour D. Rates are on a shared tour basis. Rates include lunch, mask & snorkel, life vest and guides. Rates however do not include the Eco-Tourism Development Fee (ETDF). For private and package tours you can call Northern Hope Tours for the rates. 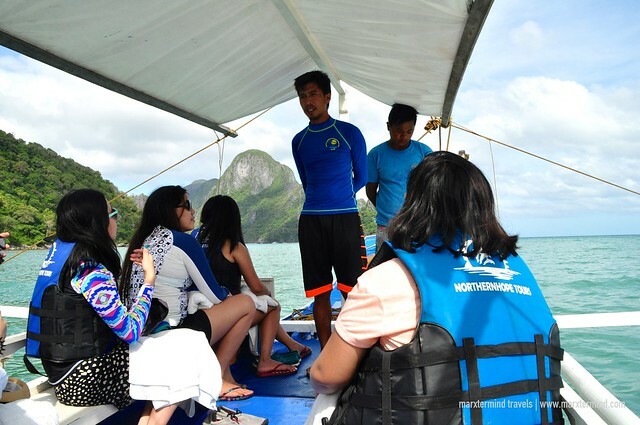 Disclosure: Northern Hope Tours hosted our group with our island tours in El Nido. All notes and opinions are my own. Indeed! 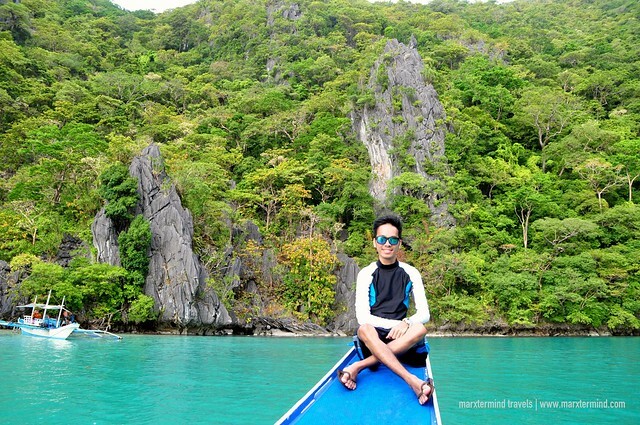 I hope I could go back soon in El Nido. 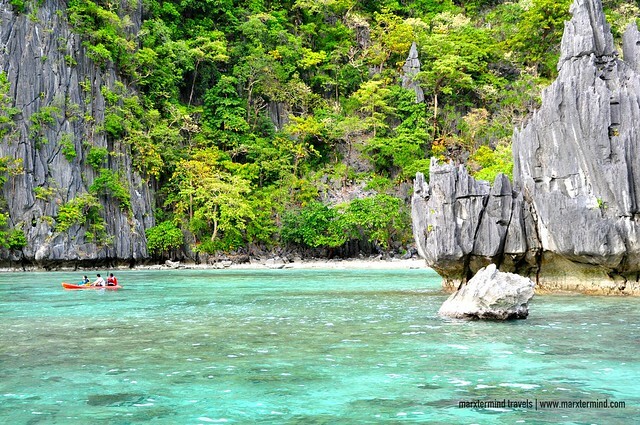 Wow El Nido is truly a nest of natural beauty just what its names means.